Are you daydreaming about your product idea? Know the unknown, before you take the plunge. 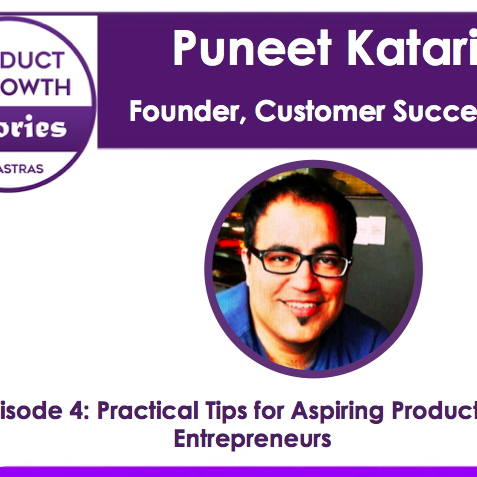 My Guest is a recent SAAS product entrepreneur, Puneet Kataria Founder of Customer Success Box. He recently raised funding of 1 million dollars for his start-up. In this episode, I talk with Puneet about his start-up journey around getting an idea, leaving an established corporate career, finding the product-market fit and defining early product success goals.